After an eight-year hiatus, World Snooker is set to make its return to the world of computer entertainment with ‘Snooker 19’ – a fully immersive snooker experience destined for all major gaming platforms in 2019. We’ve all become accustomed to the catchphrases by now. You’ll have heard ‘There’s never been a better time to be a snooker fan’, ‘Snooker’s in the best place it has ever been’ – and you’ll have heard right. Now with 26 events on the professional circuit, live snooker on the box almost every week, and digital content viewed by hundreds of millions of fans every year, it’s hard to escape snooker’s global reach. But what about fans who just want an escape? Enter Snooker 19 – World Snooker’s first licensed video game since 2011, set to take the gaming world by storm next year. Developed by Lab42 and published in partnership with Ripstone Games, Snooker 19 will provide gamers with the most realistic and visually authentic snooker game ever made, featuring 128 players from the pro tour and the ability to compete in all major tournaments spanning the globe. Fans can expect a fully immersive playing experience never before seen in the genre, with true-to-life table physics combined with stunning attention to detail. Such is the level of detail that, over the course of the last six months, every single player on the World Snooker Tour has been captured in order for them to be thrust into the digital world. 3D scanning rigs containing over 40 cameras note every distinct feature, hair and pore in preparation for the painstaking work undertaken by Lab42’s design team. Interiors from iconic venues around the world have been recreated in-game to the millimetre, with gamers able to compete in legendary arenas such as the Crucible, Tempodrom and Alexandra Palace – each replicated with pin-point accuracy. Over at World Snooker Services’ workshop in Bristol, a team of specialists even spent an entire day working with a disassembled pro STAR table, studying each individual component for design purposes. It goes without saying that Snooker 19 is one of Lab42’s most ambitious projects to date. 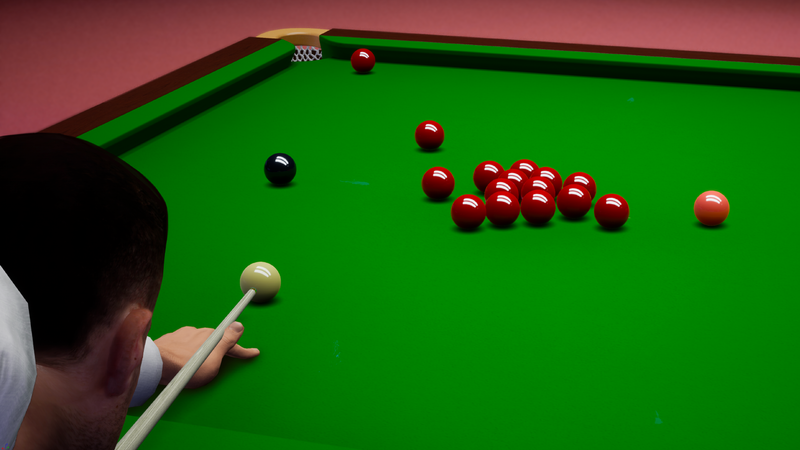 “The key thing to note here is that we are creating a proper snooker simulator.” says Justin Forrest, Snooker 19’s Game Director. “Snooker is a complicated sport, and we had to get the look and feel of it right before anything else. Getting the core playing physics right was our number one priority from the start, and we’ve gone to incredible lengths to get the best detail.” Built entirely from scratch and utilising the renowned Unreal engine, Snooker 19’s gameplay physics promises to deliver the most realistic user experience to date. The Leamington Spa-based studios have even been working closely with a local snooker club to test and develop gameplay, receiving feedback from real-life snooker players on areas such as table responsiveness, ball reactions and how close the game generally feels to the ‘real thing’. Snooker 19 will feature both single and multiplayer modes, with the former giving players the opportunity to shape their destiny as an aspiring pro snooker player. Starting at Q School and progressing all the way to the top at the legendary Crucible Theatre, gamers will have the chance to play against the likes of Ronnie O’Sullivan, Mark Selby and Judd Trump at venues across the globe in a bid to become the best. 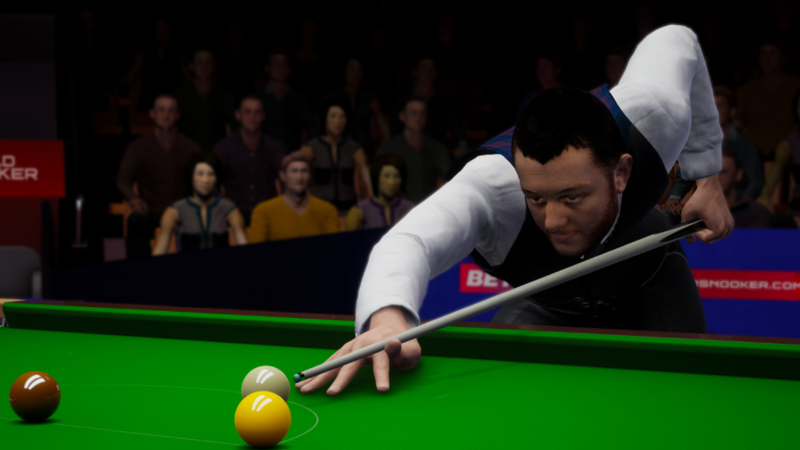 Multiplayer modes will also allow gamers to compete against others in live tournaments that will run alongside with the World Snooker Tour in real time – a feature unique to Snooker 19. The game will also feature a wide range of customisation options, which will give gamers the chance to change the appearance of their chosen player through unlockable and future downloadable content. Voicing the game will be leading snooker commentators David Hendon and Neal Foulds, who will provide shot-by-shot narration and analysis as players progress through matches. Brendan Moore, who has refereed two World Championship finals and currently officiates on the World Snooker Tour, will voice the in-game referee. There’s very much a ‘bigger picture’ element to the video game project too, as Forrest explains: “As much as this is a game for existing fans, we’re hoping that this can really widen snooker’s fanbase and encourage new players into the game, especially young people. We really hope that this can ultimately help promote snooker and lend a hand in grassroots areas.